Who do you want to be your mentor? If you read our blog post a bit ago about United We Doula, you know that we care deeply about the art of doulaing. We believe in creating community. Lasting, sustainable doula practices where we hold each other up, expect the best from each other and yes, celebrate the difference in each other. And we want to share this ideology with you. 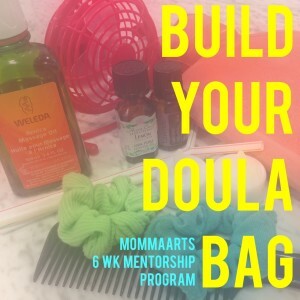 Join us online for six weeks of creative, dynamic, doula fun! How do you visualize being a doula? Where do you feel you fit in among birthing communities? Trust us – you do fit in somewhere. As long as there are pregnant women, you’ll find where you fit. Our mantra has always been “you go to the births you’re meant to go to” just as you “become the doula you’re meant to be”. It’s intuitive, nurturing work. You’ve nurtured a postpartum mother to trust her instincts, yes? Doula instinct is no different. It needs to be nurtured too. Here’s how it works. Six weeks. Wednesday Nights. 7pm. Login and join us. Using Google Hangout we’ll exchange ideas, grow resources, boost confidence, and charge up your doula practice. Each online session is one hour for subject matter, with a flexible Q&A session at the end, if time allows. You may buy one at a time or buy all six in advance for $100 plus a commitment to share & tag each session via your social media outlets. We all want the same thing – to improve the quality of maternity care in our country by creating the best births possible. Join us!